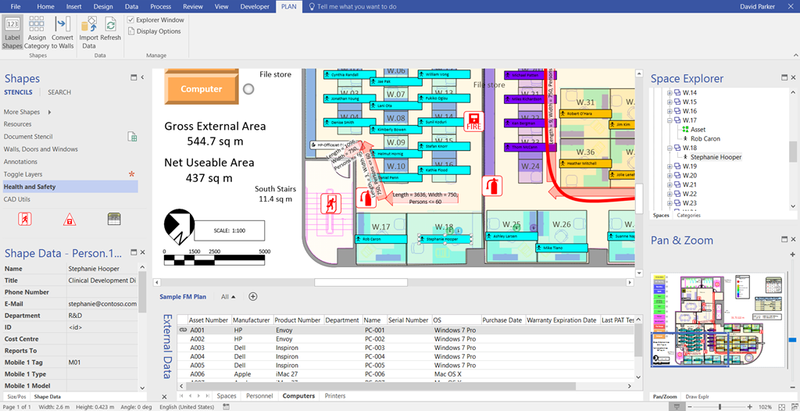 Visio Professional 2016 can be used to manage the facilities of office and other commercial buildings. The ability to create scaled floor layouts and tag any item with data are key features of any FM system, and this webcast will cover using CAD files, space and asset management, along with practical scenarios for health and safety. The webinar will utilise the Space Plans add-on along with Link Data to Shapes and Data Graphics.